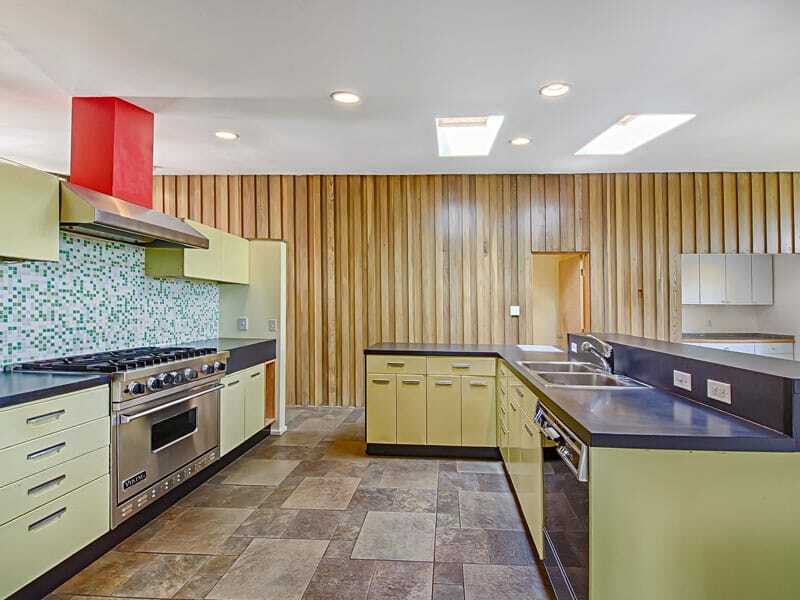 The kitchen is always one of the central features of a good modernist home. It is the centre piece of a family’s social life and given the modernist preoccupation with opening up the space and hosting friends and family, the kitchen is integral. Here we offer a useful range for anyone looking to update their own kitchen in a mid-century style. 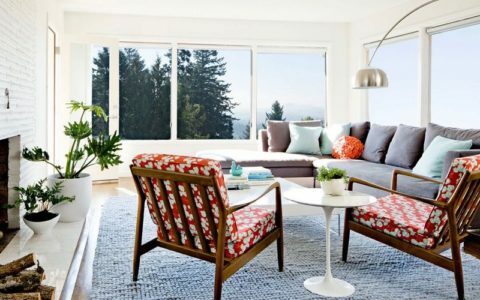 The George Nelson home offers something for those working with a narrow space. The Bendit House, Henry Hoover’s house and the Ohio-situated E. Keith Haag house are all great sources for lovers of wood panelling. 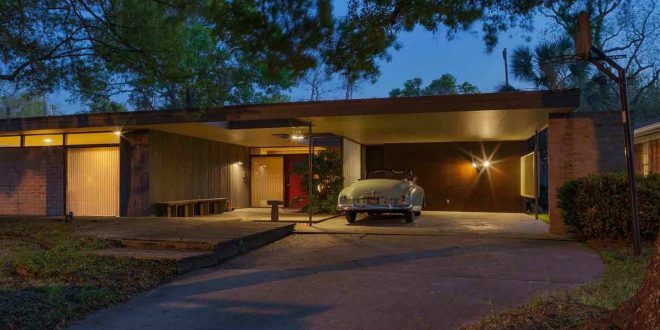 Meanwhile, If you’re looking for something quirky, pay heed to the Paul Hayden Kirk House. 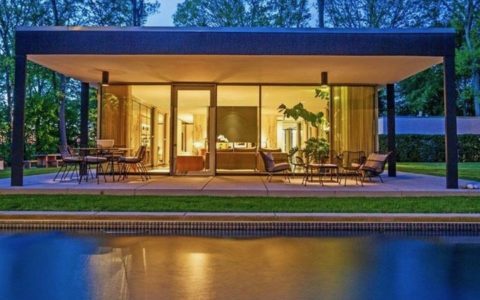 The Kalamazoo, Michigan house built for James and Sally Kirkpatrick between 1955 and 1958 is a furniture enthusiast’s dream. Indeed, while it would be unfair to downplay the beautiful design of the house itself, it is clear that its major strength resides in how it utilises the sumptuous furniture collection intended for the house. 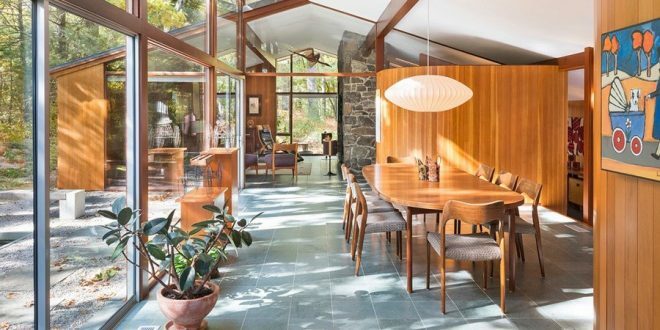 Completed in 1952, a year before the influential “Design in Scandinavia” exhibition, the Bendit House offers an interesting glimpse of mid-century design on the cusp of taking off in America. Situated just outside Houston, Texas, in the neighbourhood of Ayrshire (a subdivision in the Houston suburb of Breswood Place), and originally built for the Bendit family by Lars Bang, the house still displays some strikingly individual detailing. Weston, Massuchesetts is home to one of architect Henry Hoover’s most remarkable houses. 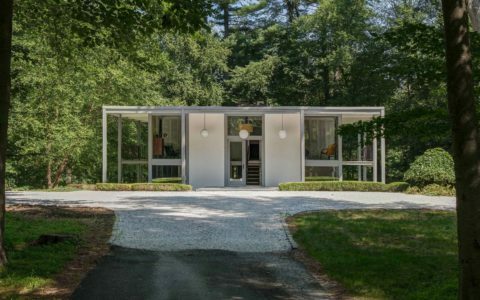 Built for Kenneth and Polly Germeshausen in 1958, it is representative of the late period in Hoover’s work. 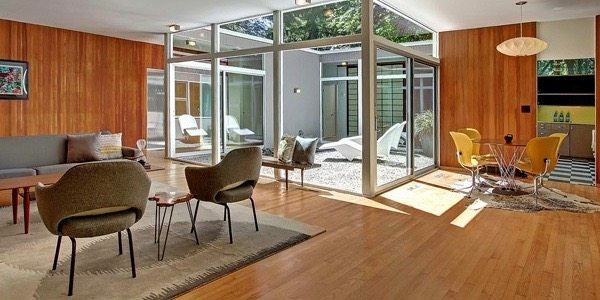 This house in Bellevue WA, was designed by architect Paul Hayden Kirk in 1955. Kirk worked under many architects, some of which included Floyd Naramore, A.M. Young, B. Dudley Stuart, and Henry Bittman. 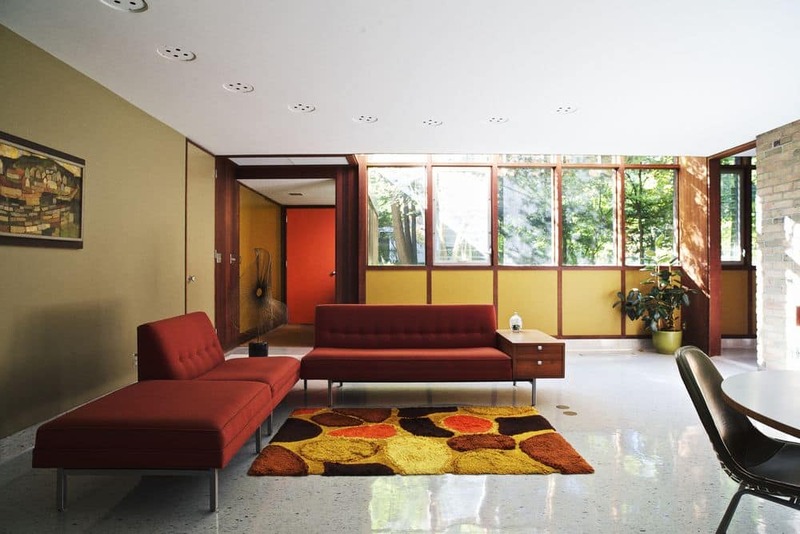 This renovation is a lovely example of how to apply colour to a mid-century home the right way. Situated in Littleton, Denver, Colarado, it uses a sparing palette of natural colours to fit the stone walls and tiling. Meanwhile, bolder colours are used sparingly, with a few touches of red throughout: in the lounge chair, the hood of the cooker and the letterbox.